Kerala, also called as God’s own Country, is located between the Arabian Sea on the west and the Western Ghats in the East. Kerala is India’s most advanced society with hundred percent literacy. The whole Kerala is blessed with abundant natural beauty. There are large variety places to visit in Kerala. 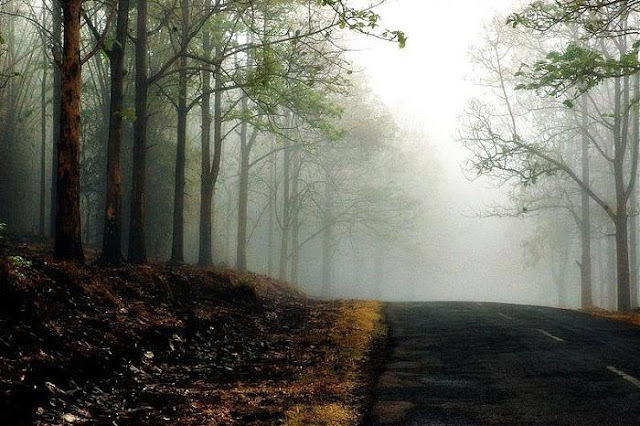 Wayanad, Major tourist attraction in Kerala. It has lots of eye – catching places to visit. The greenery and picturesque mountains, hill stations give a breathtaking experience to the viewers. You can also visit the historic temples that will take you back in time. Here are the major tourist attraction in Wayanad. The Banasura Sagar dam, which is the largest earthen dam in India. Located at Padinjarethara near Kalpetta in Wayanad. Banasura Sagar dam across the Karamanathodu River is a tributary of River Kabini in Kalpetta. Boating in the Banasura Sagar Dam surrounded by lush green landscape and dotted trees & adventurers can indulge here in trekking activities. The experience is certainly bound to be rejuvenating. Chembra Peak is the highest peak in Wayanad at 2,100 m above sea level and provides one of the best views of the adjoining Nilgiri Hills and Vellarimala Hills. Chembra is located near the town of Meppadi and is 8 km south of Kalpetta. The peak is surrounded by lush greenery is an ideal place for trekking. The heart shaped lake at the top of the Chembra Peak attracts more travels to the spot. 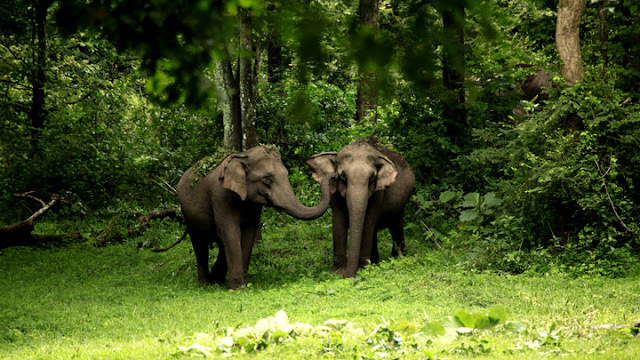 Wayanad Wildlife Sanctuary is an animal sanctuary in Kerala, located around 16 km away from Sultan Bathery/. Wayanad Wildlife Sanctuary is made up of two discontinuous pockets, one is Muthanga and another one is Tholpetty in Wayanad. The forest offers the opportunity to view wildlife, including wild elephants, spotted deer, gaur, langur, sambar, giant squirrels, wild dog, birds, tiger etc..
Edakkal caves, situated in Ambukuthi hills is in Sulthan Bathery, Wayanad. Edakkal literally means ‘a stone in between’. Edakkal is the only known place in India with Stone Age carvings. The rock engravings of Edakkal cave are 3000 to 6000 years old. A trip to Wayanad wouldn’t be complete without a visit to the Edakkal Caves. Once you reach here, you may feel like being thrown into another world. 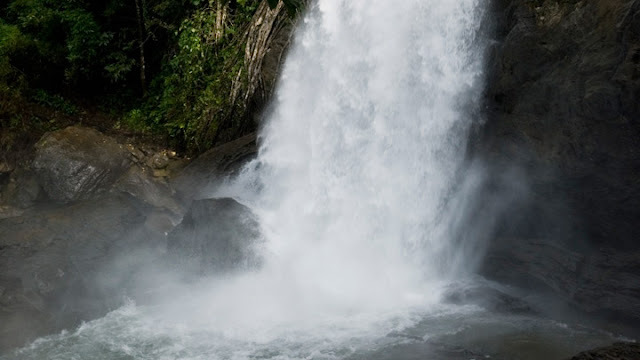 Sentinel Rock Waterfalls, locally known as Soochipara Waterfalls Wayanad is one of the biggest and most popular three-tiered waterfall located in Vellarimala village. Soochipara Waterfall located near Kalpetta in Wayanad Kerala. The best time to visit Soochipara is between the months of June and January. The site is also popular with rock climbers apart from picnickers. Sulthan Bathery previously known as Sultan’s Battery is a largest town in Wayanad. The place is known for its tourism and commercial activities. The jungle trails, pre-historic caves, sparkling streams and rivers and lush greenery of the undulating hills are the major tourist attraction in Sutlthan Bethery. If you are planing to visit Kerala. Estire holidays offers special summer holiday packages in Kerala, Best Kerala Holiday Packages. So, what are you waiting for? Pack your bags, book your packages and get ready to leave your worries behind and have a memorable experience.